As more companies utilize the Internet to sell their goods and services, the more you have to compete with others in the industry. SEO, short for search engine optimization, is one of the best techniques for digital marketing. It helps your digital marketing campaign work effectively, as it helps your website land the top results on various search engines. It specializes in using keywords to make your website more noticeable and lead more people to visit your website. In social media sites, you can also use keywords through hashtags. In this example, you can merge both digital marketing and SEO efficiently, such that your company is now more accessible to others, in more than one medium. WebMarketing123-courses can help you out with more knowledge on how to explore all the other medium of digital marketing as well. Digital marketing and SEO, working hand in hand, should not only be focused on driving customers, or a possible target market to your site. You should also emphasize the specific group of traffic that is coming to your website. The location of where the searches for your website are coming from. The average age of your website’s visitors. The majority gender of your visitors. You are a company that specializes in makeup and beauty products. You may be reaching your target number of daily visitors to your website. However, the demographics show that 75% of these visitors are male senior citizens. Hence, you are still not able to reach the target market that is really at par with the products and services that you offer. When you are aware of this fact, it is easier for you to make alterations and improvements in your strategies. Sometimes, you may tend to focus too much on the competition that you forget one crucial thing in digital marketing and SEO: link building. In traditional marketing, it is not a common practice to partner with other businesses that may be considered as your competition. However, in digital marketing, the opposite is true. It is a common practice in digital marketing for you to link with other businesses’ websites who are also selling the same or almost the same products as you; This is known as a link building strategy. By doing this, as you link with other websites, and as they connect to you as well, you are all meeting your goal of having increased traffic on your site. Apart from keywords and links, you should also make it a part of your digital marketing strategy to have a user-friendly interface. In doing so, you must remember to make your website accessible even to mobile users. Doing this means that when a visitor is searching through their mobile phones, you have a “Go to mobile site” section, where users can navigate through your website with ease, even from their mobile phones. Do take note that it is undeniable that most people are on their phones for more than half of their daily lives; you do not need analytics to prove this. Hence, remember to have the capacity to reach these mobile users efficiently. One of the newest forms of digital marketing through SEO is by video and media optimization. Let’s face it, no matter how effective your keywords are, even if you already have high traffic to your website, you will never get them to stay and remember your site if you lack video or any form of media for that matter. 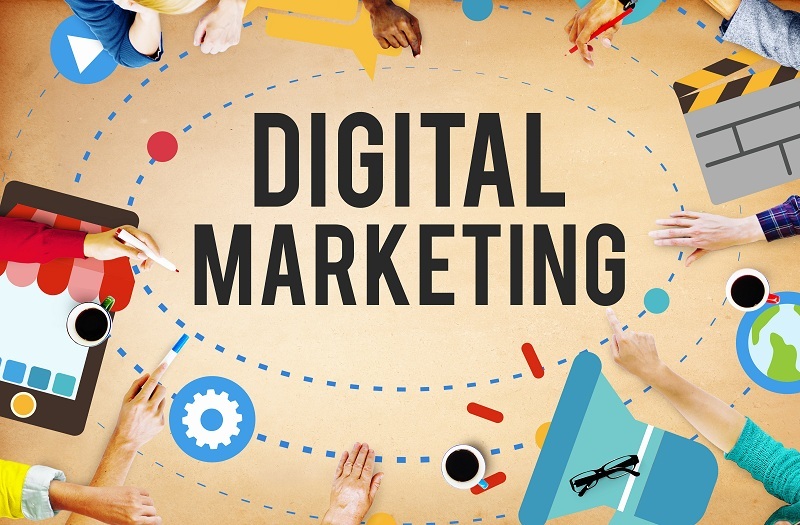 These tips and tricks serve as your quick guide on how to go about with digital marketing for the best SEO results. Remember that the better your digital marketing strategies are, the more effective your SEO will be. It will drive more traffic into your website, which also, in turn, translates to more sales for your company. Next articleShould You Be Honest With Friends and Family About Meeting Online?